After 8 years as a Raider, All Pro CB Nnamdi Asomugha has signed a deal to become an Eagle. The deal, worth 60 million over 5 years, includes 25 million guaranteed. Asomugha is widely regarded the best cover cornerback in the NFL, and was courted by several high-profile teams, including the Jets and Cowboys. 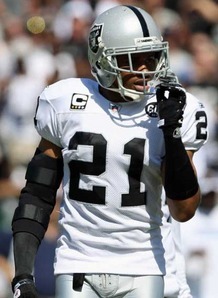 Asomugha, probably the top free agent on the market, spent his first eight seasons with Oakland. He had a career-high eight interceptions in 2006, went to the Pro Bowl after the 2008, 2009 and 2010 seasons and was named a first-team all-pro in 2008 and 2010. Though Nnamdi may have made more elsewhere, he made it clear he was interested in winning a Super Bowl. 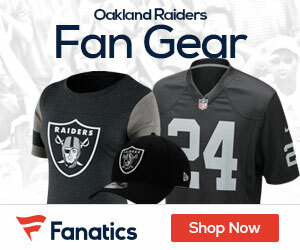 As the league headed toward it’s free-agency signing period, which started on Friday at 6 p.m., it appeared that the Jets were the clear frontrunner. What seemed to help the Jet’s cause is that Asomugha has aspirations of acting when his playing days are over. New York, over several other destinations, clearly seemed like a good place to start that second career. I nstead of joining the team that made the AFC title game the last two years, he’ll join an Eagles club that went 10-6 last season, won the NFC East and figures now to be considered among the Super Bowl favorites this year.